Renew 147 is our energy efficiency special. We dig deep into energy use averages and trends in different states of Australia, plus we go beyond the ‘average’, with six case studies from households in different climates. Our first-ever draught sealing buyers guide gets into the nitty gritty of where the gaps are in your home and how to seal them up. Plus we look at when condensation can be a problem and what can be done about it; provide a mini buyers guide to mechanical ventilation with heat recovery; look at the impact of ‘always on’ loads in the home; cover the latest in electric vehicles – and much more! Free shipping until end April 2019! SKU: R147. Category: Renew. Tags: battery, climate change, electric home, EV, garden, heat pumps, ReNew, sustainable design, Windows, Energy Efficiency, Solar. 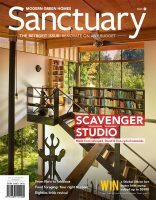 Issue 147 is hot off the press and full of advice for your sustainable home this autumn. As always, Renew comes overflowing with articles to satisfy both the technically and the not-so-technically minded. 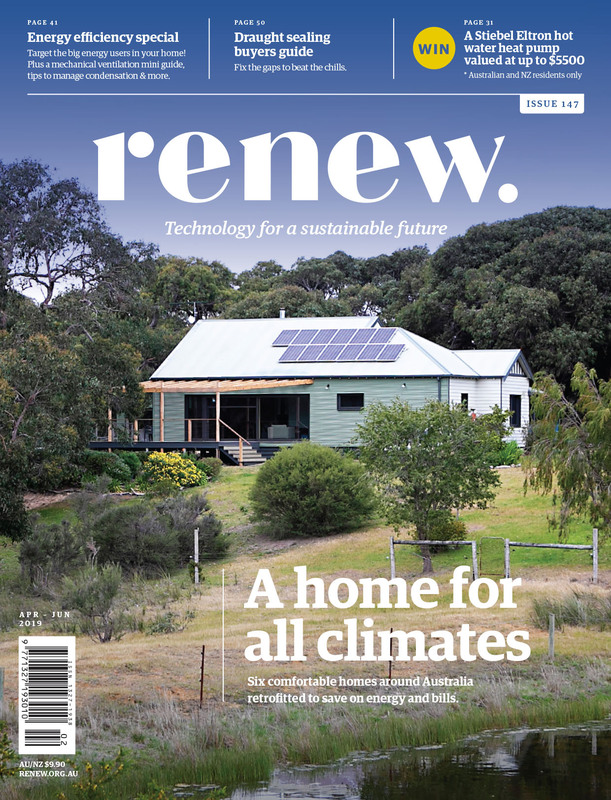 Regardless of whether your interest is energy efficiency in your climate zone, draught sealing your home, DIY garden projects, understanding load shedding in the grid, or getting condensation under control, there is something for everyone in this issue. What counts as energy-efficient in one climate zone may be ineffective or unnecessary in another. We dig deep into energy use averages and trends in different states of Australia. How six households have tackled energy efficiency in their homes around Australia. Draughts can make your home far less comfortable than it needs to be. Sealing them up is one of the simplest things to do for an energy-efficient home. As our homes get more airtight, it’s important to consider ventilation and moisture control to avoid condensation problems. Upper storeys are more exposed to sun and wind, and shading can be tricky to manage. So how do you get a good night’s sleep upstairs? Homes with upper storeys that perform in Melbourne and Brisbane. Heat recovery systems bring in fresh air with minimal heat loss. Here’s a mini buyers guide on what to look for. With devices like internet modems that are always on, how much of a problem is that for energy use? It is possible to use old materials in a new energy-efficient build. Load shedding coming to your area soon? We look at how areas get chosen for scheduled power outages, and whether rooftop solar can come to the rescue. Hugh Cross on why he installed a solar+battery system, and how it’s working. Can solar gardens help renters, apartment owners and low-income households access the renewable energy revolution? While the western world takes electricity access for granted, a large part of the world has no such luxury. But that is changing. 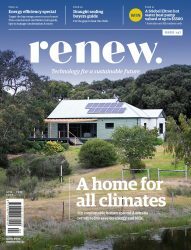 Martin Chape has quite a few solar energy systems; his latest is an off-grid system that runs his whole house in the suburbs of Perth. From bare lawn to permaculture paradise: this DIY gives tips and tricks for using sheet mulch and hot composting to improve your backyard. The move to electric transport, in all its forms, is now well underway and 2019 is shaping up to be a very exciting year indeed.